Sometimes skin care gets incredibly scientific. Even though I don’t always know the ins and outs of whats really going on when I put XYZ serum on my face, if it’s made by a brand I trust, I’ll do it. 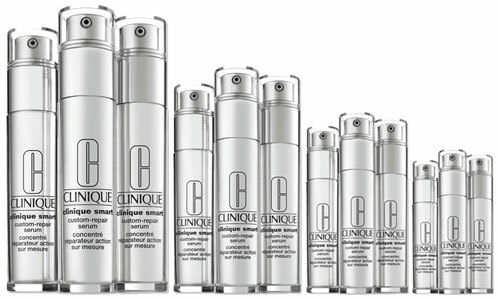 Clinique (creators of the infamous 3-step-system - everyone’s first solution to adolescent acne, am I right?) just created one of these magically scientific products. It’s called Clinique Smart Custom Repair Serum. True to all of Clinique’s products, this serum is fragrance free and very kind to your skin. It was five years in the making - and, based on the ingredient army inside, I’m surprised it didn’t take longer. Scientific rundown of this formula is it’s ‘Smart’ because it is designed to respond to whatever your skin happens to need. A little red reduction, a little dark spot correcting, a little moisture, a little glow, even a little tightening! Maybe it knows your face better than you do? Unscientific rundown is it feels lovely and knowing that over time it will fight off whatever problems my skin is going to have before I know I am going to have them is a pretty great perk. This formula is just so… Smart.